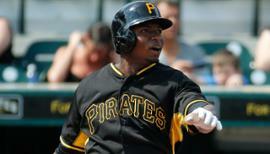 Draft: 2007, Pittsburgh Pirates, 2nd rd. August 5, 2016 San Jose Giants released RHP Duke Welker. August 3, 2016 RHP Duke Welker assigned to San Jose Giants from Sacramento River Cats. 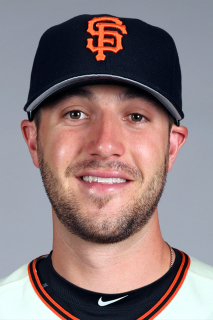 April 15, 2016 RHP Duke Welker assigned to Sacramento River Cats. April 14, 2016 San Francisco Giants signed free agent RHP Duke Welker to a minor league contract. July 14, 2014 Pittsburgh Pirates released RHP Duke Welker. July 9, 2014 Pittsburgh Pirates designated RHP Duke Welker for assignment. May 5, 2014 Indianapolis Indians placed RHP Duke Welker on the 7-day disabled list retroactive to May 4, 2014. March 14, 2014 Pittsburgh Pirates optioned RHP Duke Welker to Indianapolis Indians. November 18, 2013 Pittsburgh Pirates traded LHP Kris Johnson to Minnesota Twins for RHP Duke Welker. October 5, 2013 Pittsburgh Pirates traded RHP Duke Welker to Minnesota Twins. June 26, 2013 Pittsburgh Pirates optioned RHP Duke Welker to Indianapolis Indians. June 20, 2013 Pittsburgh Pirates recalled Duke Welker from Indianapolis Indians. May 11, 2013 Pittsburgh Pirates optioned Duke Welker to Indianapolis Indians. May 8, 2013 Pittsburgh Pirates recalled Duke Welker from Indianapolis Indians. March 13, 2013 Pittsburgh Pirates optioned Duke Welker to Indianapolis Indians. October 4, 2012 Pittsburgh Pirates recalled Duke Welker from Indianapolis Indians. 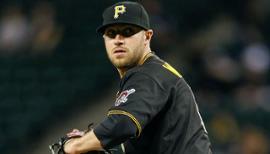 October 4, 2012 Pittsburgh Pirates activated RHP Duke Welker. August 20, 2012 Duke Welker roster status changed by Indianapolis Indians. July 25, 2012 Indianapolis Indians placed RHP Duke Welker on the 7-day disabled list. 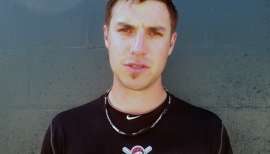 May 25, 2012 RHP Duke Welker assigned to Indianapolis Indians from Altoona Curve. March 15, 2012 Pittsburgh Pirates optioned Duke Welker to Altoona Curve. November 18, 2011 Pittsburgh Pirates selected the contract of Duke Welker from Altoona Curve. August 13, 2011 Duke Welker assigned to Altoona Curve from Bradenton Marauders. April 22, 2011 Duke Welker roster status changed by Bradenton Marauders. April 16, 2011 Bradenton Marauders placed RHP Duke Welker on the 7-day disabled list. June 29, 2010 RHP Duke Welker assigned to Bradenton Marauders from West Virginia Power.